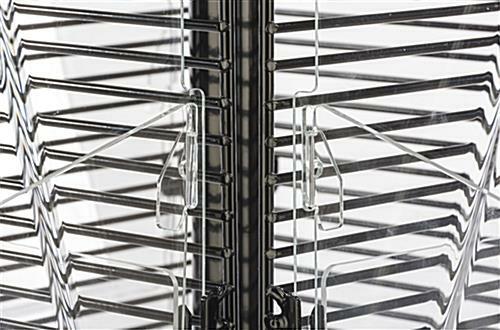 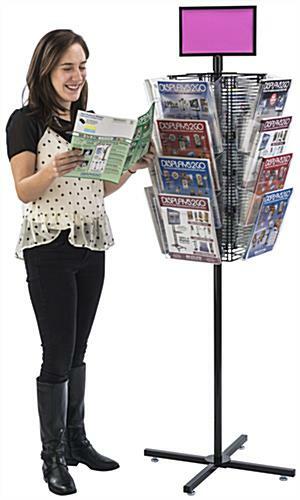 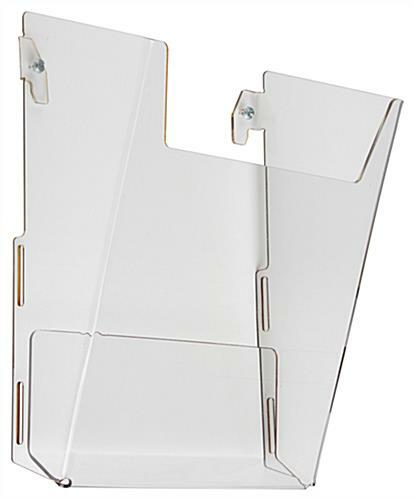 These rotating gridwall racks are great for retail stores because they include (16) plastic pockets sized to fit literature like brochures and magazines. 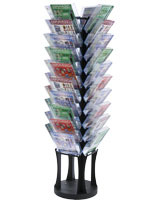 The floor standing displays consist of (4) black metal wire panels that measure 9.4" x 25.8". 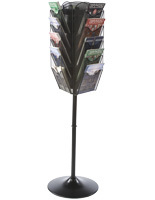 The gridwall racks also include a 11" x 7" sign header for company logos, sales alerts and other messaging. 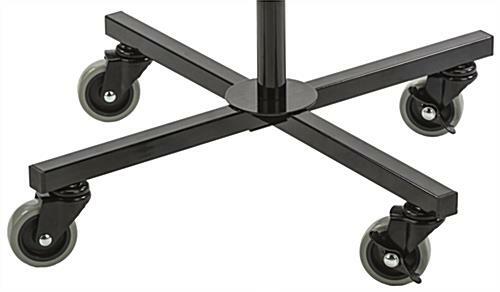 The black wire stands allow the user to choose between (4) levelers and (4) 3" caster wheels for the base, for the option of creating a mobile merchandiser. 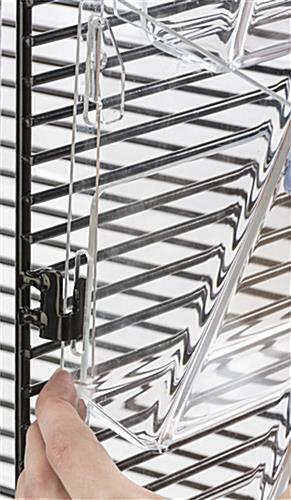 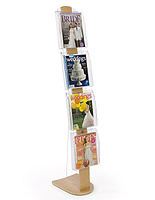 The store racks' clear pockets offer a half view of literature on display and are easy to clip onto the panels. 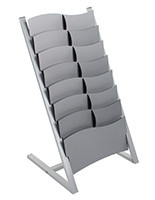 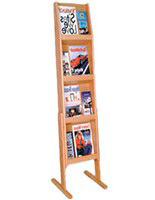 The floor standing displays also feature a collapsing base that makes transportation and setup easy. 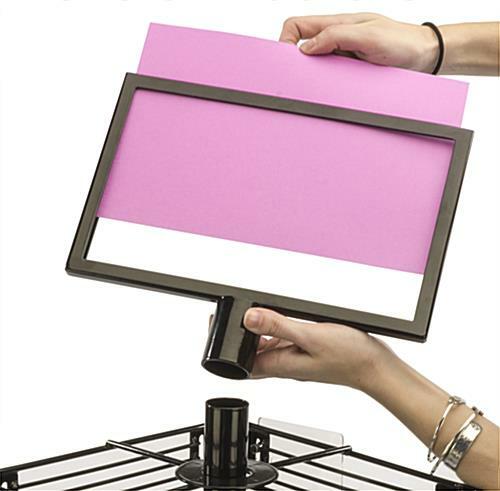 8.6" x 9.4" x 1.1"